The Speaker of the Imo State House of Assembly, Rt. Hon Acho Ihim on Wednesday led 19 other members of the House, under the aegis of Team Nwosu, to endorse the governorship ambition of the Chief of Staff to the governor, Chief Uche Nwosu. Ihim while reading the position of the Lawmakers argued that the decision of the 20 Lawmakers to ensure that Nwosu takes over from Rochas Okorocha as the next governor was taken in the overall interest of the state, adding that, the legacies of the Okorocha-led administration “are so good and too numerous to be left in the hands of those who may not have any inkling of what they are, where they are or how to sustain them”. 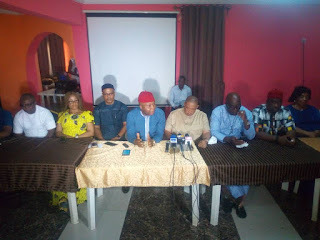 According to the Speaker, “in a bid to ensure continuity of the numerous democratic dividends of the Rescue Mission Administration in Imo State, 20 members of the Imo State House of Assembly have affirmed their resolve to project, support and back in its entirety Ugwumba Uche Nwosu as the next governor of Imo State after His Excellency, Owelle Rochas Okorocha come 2019”. The Lawmakers therefore resolved as follows; “that we the Honourable members of the Imo State House of Assembly recognize unequivocally Owelle Rochas Okorocha as the supreme leader of the ruling party in Imo State, the All Progressives Congress (APC). “That as Executive Governor of Imo State, Owelle Rochas Okorocha has done exceedingly well in governance hence deserves our commendation as representatives of our various constituencies. 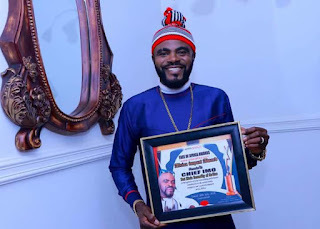 “That as an integral part of the Owelle success story, Ugwumba Uche Nwosu is eminently qualified to paddle the canoe of the development of Imo State and will continue in the already established successes of the Owelle administration. “That we support unequivocally the governorship aspiration of Ugwumba Uche Nwosu. 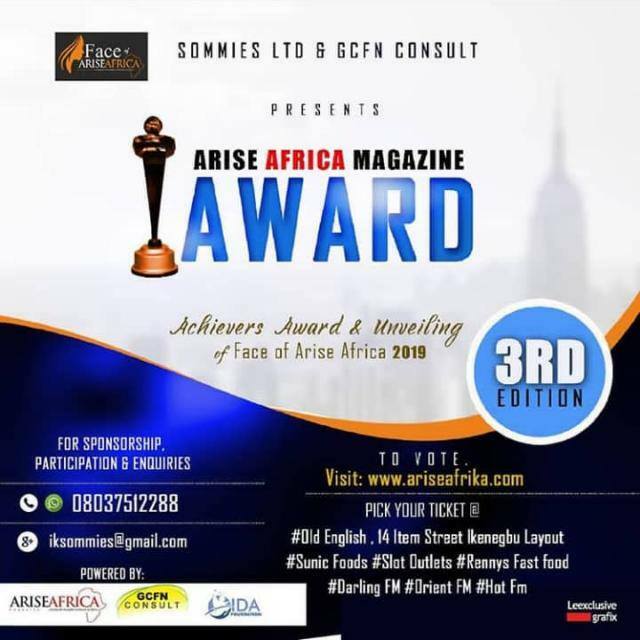 We therefore call on all Imolites everywhere to ensure that this aspiration comes to fruition”. Adding his voice, the Deputy Speaker, Rt Hon Ugonna Ozurigbo, noted that it was wrong to create aspersions as well as indoctrinating the public with the notion that zoning existed in Imo instead he intimated that it was conventional that whenever the leader of a government comes from one zone, the vice comes from another to adhere to the tenets of Fed character. "There was never a time in Imo state when there was an arrangement to stop other person's of a particular zone from contesting in favour of another particular zone." the Deputy Speaker said. 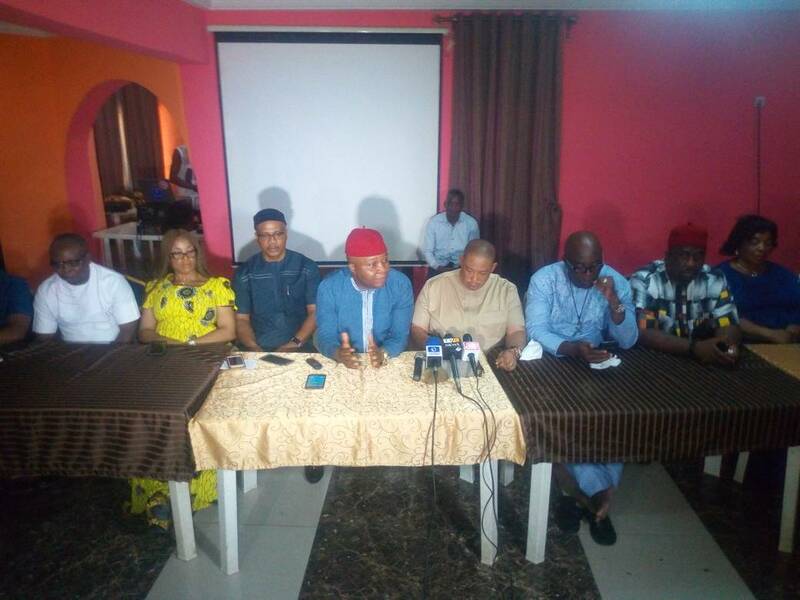 The Lawmakers that signed the endorsement letter, were Hon Ozuruigbo Ugonna (Nwangele), Chinedu Offor (Onuimo), Hon Uju Onwudiwe (Njaba), Hon Ngozi Obiefula (Isu), Hon Max Odunze (Orsu), Hon Ikechukwu Amuka (Ideato South), Hon Arthur Egwim (Ideato North) and Hon Kennedy Ibe (Obowo). Others were Hon Nkem Nzeruo (Oru East), Hon Lugard Osuji (Owerri Municipal), Hon Henry Ezediaro (Oguta), Hon Chukwuemeka Loyd ( Owerri North), Hon Victor Onyema (Owerri West), Hon Uche Agabige (Orsu), Hon Chika Madumere (Nkwerre) , Hon Uche Ejiogu (Ihitte Uboma, Hon Emma Orie (Ohaji-Egbema) and Hon Lawman Duruji (Ehime Mbano).